In the world of investment management one of the most revered active investment managers is Warren Buffett. Known as the “Oracle of Omaha”, Buffett has delivered considerable returns for his Berkshire Hathaway shareholders over the last 52 years. When Buffett speaks people listen. As a recap, low cost passive investment managers simply replicate an underlying index – for example the S&P 500 Index in the United States – while active investment managers aim to outperform their benchmark index, for a much higher fee of course. The active versus passive debate is one that dominates discussion on investments, but it is not often you hear one of the most renowned active managers argue so vehemently in favour of passive management. According to Buffett, what followed was “the sound of silence” from the usually cocky active managers. Ted Seides, a co-manager of Protégé Partners, a fund-of-funds hedge fund manager, was the one who stepped up to the challenge. He picked five funds-of-funds whose results were to be averaged and compared against Buffet’s Vanguard S&P index fund. One year remains in the ten year bet and the current standings are below. As you can see low cost passive is cleaning up. Of course, there are more complexities to this discussion but the fact is that Warren Buffet, one of the world’s most famous active managers, advocates that investors save their time and money by simply investing in low cost passive equity. Of course, it must be said that for his own money at Berkshire Hathaway Buffet tapped two hedge fund managers, Todd Combs and Ted Weschler. I guess we live in a world of contradictions! Given the scathing critique of the hedge fund industry from Warren Buffett, it was interesting to attend a small lunch last week with one of the most well-known hedge fund managers, the activist investor Bill Ackman who founded Pershing Square Capital Management in 2004. Ackman’s bold call against the bond insurance industry ahead of the credit crisis is chronicled in the book: “Confidence Game: How a Hedge Fund Manager Called Wall Street’s Bluff”. It is an excellent read and a great insight into the conviction needed to go against crowed and to stick with those calls when there appears to be no end to the madness around you. However, after being one of the top performing managers for years, Ackman’s fund has been a real ‘dog with fleas’ for investors over the last two years, with dismal performance driven by a horrendous investment in Valeant Pharmaceuticals which lost over 90% of its value. To say he got blind sighted is an understatement. Still, Ackman is not short on confidence and belief in his ability to deliver for investors, so I thought I would take the opportunity to hear his thoughts on Buffet’s latest letter, particularly given the fact he has been known to reference some of Buffett’s investment rules. What are your thoughts on Buffet’s ‘buy low-cost passive’ recommendation? Overall, he was in agreement with the point on the aggregate performance made by Buffett. However, Ackman cautioned on that fact that huge inflows of money into these passive products inevitability drive up the prices of these securities that make up these indices. ‘That may be fine when the Dow is at 6600 but not when the Dow is hitting 21000 investors are taking a lot of risk’. Passive funds care little of stock valuation. Effectively, what Ackman is saying is that if the broad markets are more challenged over the coming years, having an active manager who can be more discerning with the investment of client’s capital will be important. Rather than simply enjoying the broad market rollercoaster. Of course, he also pointed out that while the hedge fund industry has struggled, his own long term track record – irrespective of the recent blip – should be enough to demonstrate that there are managers who can outperform. ‘We’ve never guaranteed the journey will be smooth. There isn’t a manager who can consistently deliver 7% to 8% a year, every year’. This is a fair point on the journey of returns and one that is often lost on investors. Those choosing active management better be prepared for periods of underperformance. They are guaranteed! Just look at Warren Buffet’s annual performance on page one of the Berkshire Hathaway annual letter. As for the question on the bet, after the second time of asking, Ackman said ‘there wasn’t public knowledge of it’. I can’t really buy that one, but maybe he really didn’t hear about it or was just too busy to be drawn into a public sideshow with the beloved Warren Buffett. Who knows? The reality is that each of these factors requires a degree of subjectivity, a point I put to Ackman. ‘Ultimately, what people are buying is your intuition on a company, something you have built up over your years of experience?’ Ackman’s response was simple, ‘Yes’. The challenge for investors is that this intuition which factors into active management cannot be quantified. Hence, why Warren Buffett says, just buy passive. 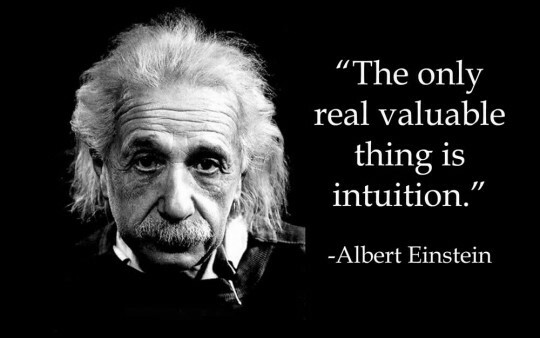 As an investor, faced with the choice between active and passive management you must trust your own intuition.